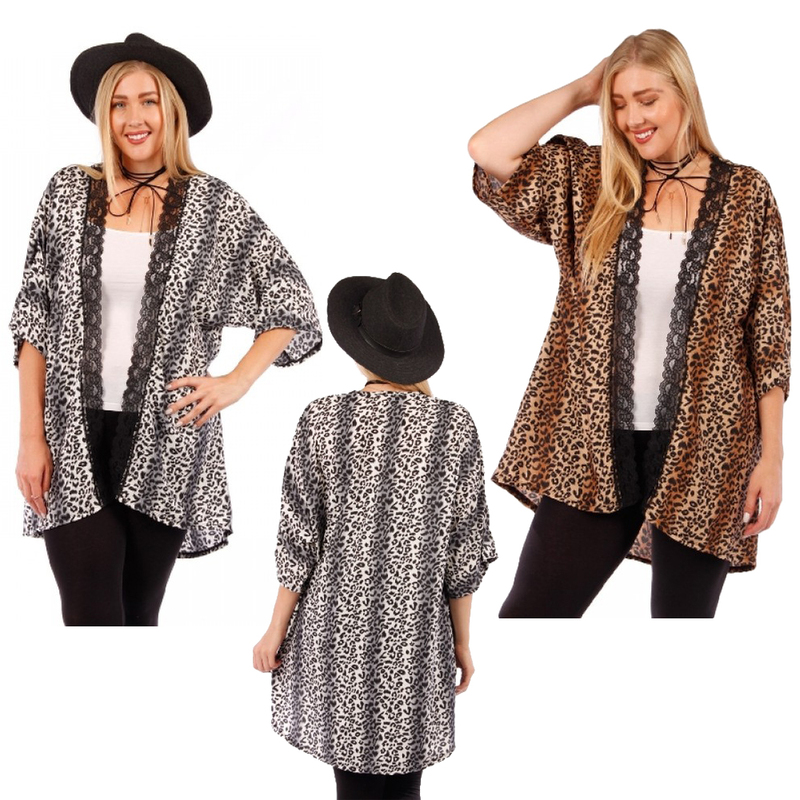 Show your wild side with this slinky animal print open style cardigan with lace trimmed front design. It has 3/4 sleeves and an open front with no closures. Layer it with a tank and jeans to complete the look.